The Little Book for Little Activists opens with an introduction from Bob Bland, the co-chair of the Women's March on Washington (and fashion designer and creator of the Nasty Woman t-shirts) and ends with an afterword from Lynda Blackmon Lowery, the author of Turning 15 on the Road to Freedom: My Story of the 1965 Selma Voting Rights March. 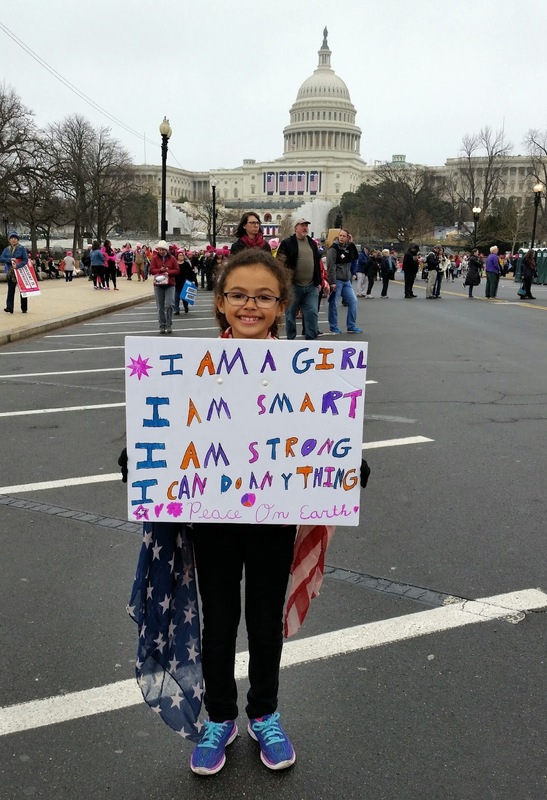 In between are quotes from girls aged 14 and under and images of girls and boys from the Women's March on Washington holding handmade signs. This is an important book, small but powerful and one every child should have access to. This is a book you (adult or child) can turn to when you are feeling powerless and defeated, scared and alone and hopeless, as so many political and world events have left me feeling lately (and repeatedly) and find strength and wisdom - from the mouths and minds of children. There are also short definitions and explanations of Activism, Feminism, Democracy, the First Amendment Rights, Freedom and Protests. The images inside are fantastic - playful, moving and occasionally humorous. 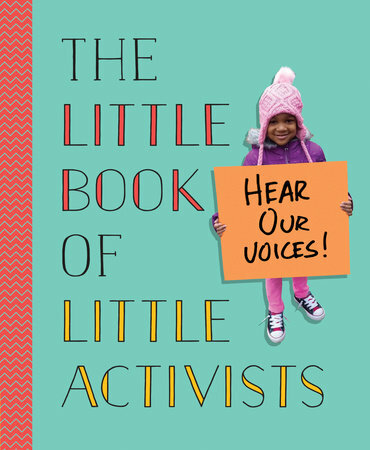 Five percent of the gross proceeds of sales of The Little Book of Little Activists goes to the Children's Defense Fund. "Be active. If everyone starts fighting for what they believe in, we could change the world." "I care about equality in our country because I want to fight for those who don't have a voice, and because I want to choose the kind of world I want to inherit."